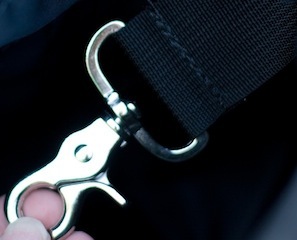 Designed with an extra zippered pocket on the interior back panel, right behind the Zoe Pocket set. Can’t decide on just one fabric? The Hawk is also available in the Morphin style, with removable flaps. Please ask! Don’t need the padding? Sure, let’s talk. Overlaid on the flap, and occasionally other parts of the bag, with a cotton print to add some "Zoe" personality. 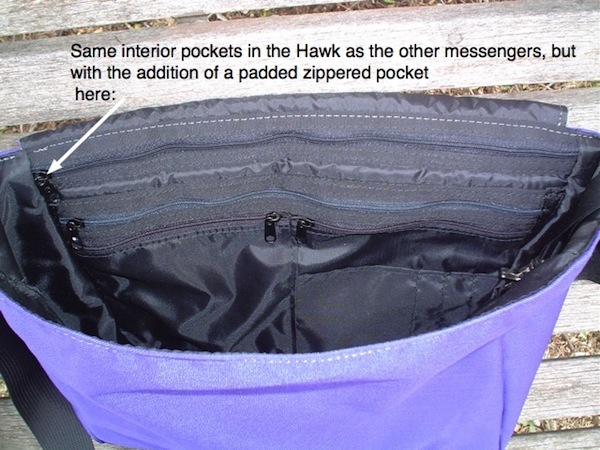 The Hawk has an additional padded pocket designed for small Netbooks, Kindle and other electronics requiring protection.